If ever there’s a need to restore the old L&SWR main line between Exeter and Plymouth, perhaps because the present route past Dawlish becomes unsustainable, there will be a problem at the Meldon Viaduct, three miles west of Okehampton. It’s a spectacular piece of engineering, 120 feet high, crossing the West Okement River on a curve. The initial single-line crossing, which opened in 1874, was duplicated by an identical structure, spliced to the original, in 1878. Even more spectacular examples of this type of construction have vanished – the Crumlin Viaduct (200ft high, built 1857, demolished 1965) in south Wales and the Belah Viaduct in Cumbria (196ft high, built 1861, demolished 1963). The nearest equivalent is the much longer but lower Grade II*-listed Bennerley Viaduct on the Nottinghamshire-Derbyshire border, which has lattice-work spans rather than Warren trusses. The trackbed across Meldon Viaduct, having been used as a roadway for lorries serving the construction of the Meldon Dam in 1970-2, is now part of the Granite Way, which links Okehampton with Lydford. This presents a difficulty if there’s ever a need to restore the railway because apart from being a Scheduled Ancient Monument the viaduct is no longer strong enough to support the weight of trains. The easiest way to visit Meldon Viaduct and to clamber down steps to see it from below is by riding the volunteer-operated Dartmoor Railway from Okehampton station to Meldon Quarry station. A single dining car from an electric multiple unit serves as a café with a spectacular view of the viaduct as the walkers and cyclists cross to and fro. Meldon Viaduct is a destination on the Railways of Devon (June 12th-16th 2017) tour. For further details, please click here. 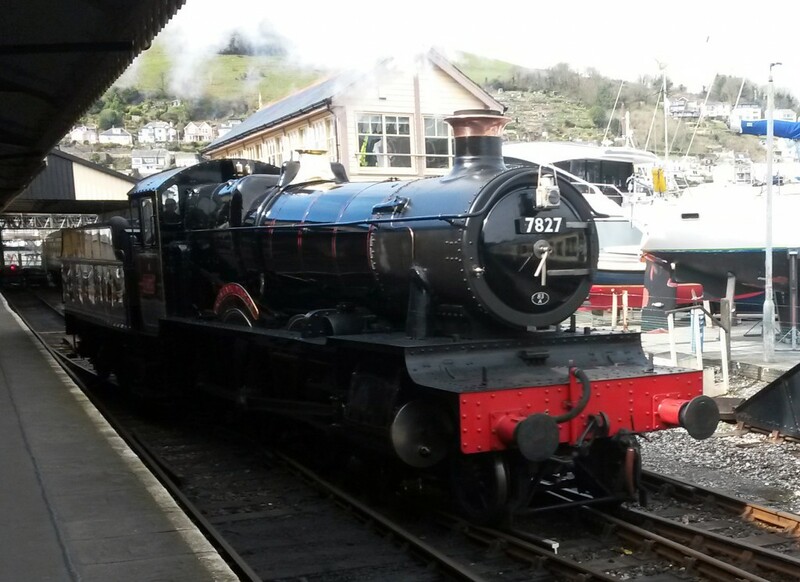 This entry was posted in Railways of Devon, Transports of Delight on March 4, 2017 by Mike Higginbottom. The premier rail route to the South West has always been the Great Western main line, the first to open and the best-known. It was engineered by Isambard Kingdom Brunel, who visualised his line from London to Bristol should be extended to New York by means of steamships, the first of which was Great Western (1838), followed by the celebrated Great Britain (1845). Beyond Bristol, a series of railway companies, either sponsored or taken over by the Great Western Railway, extended the line through Devon and Cornwall via Exeter (1844) and Plymouth (1849) to Penzance (1852). Brunel chose to direct this route across difficult, spectacular country along the south coast: that was the reason for his failed atmospheric experiment, his magnificent Royal Albert Bridge (1859) and his long-vanished timber viaducts. The early rail route from London to Southampton grew into the London & South Western Railway, which reached Exeter in 1860 via a southerly route through Andover, Salisbury and Yeovil. The only way the L&SWR could penetrate into Devon and Cornwall was by taking the opposite route to the GWR, round the northern fringes of Dartmoor via Okehampton and Tavistock, reaching Plymouth in 1876. This line was severed in 1968, and regular services now run only from Plymouth to Bere Alston (for Gunnislake) and along the so-called Tarka Line from Exeter to Barnstaple. Track remains along the former L&SWR main line to a quarry three miles beyond Okehampton for quarry traffic, and occasional Sunday services operate between Exeter and Okehampton. Okehampton Station is maintained by the Dartmoor Railway, a volunteer-led group which runs trains up the line as far as Meldon Viaduct, and sometimes eastwards to Sampford Courtenay. The track between Okehampton and Coleford Junction, where it joins the Tarka Line, is now operated by British American Railway Services, a subsidiary of the American railroad operator Iowa Pacific Holdings. There is an as-yet-unfulfilled plan for the Dartmoor Railway services to extend to Yeoford, the station south of Coleford Junction, to provide passenger interchange with Exeter-Barnstable. Increasing concern about the sustainability of the Great Western main line through Dawlish, particularly after a washout in 2014 which halted services completely for three months, has led to suggestions that the L&SWR line through Okehampton should be reinstated to Plymouth as an alternative route. The plan to reinstate the line from Bere Alston to a new station at Tavistock West is at least a step in implementing this proposal. So yet again one of Dr Beeching’s cuts may at great cost be rolled back. Network Rail’s consideration of the options to safeguard the rail route into Devon and Cornwall can be found at https://www.networkrail.co.uk/wp-content/uploads/2016/11/West-of-Exeter-Route-Resilience-Study.pdf. 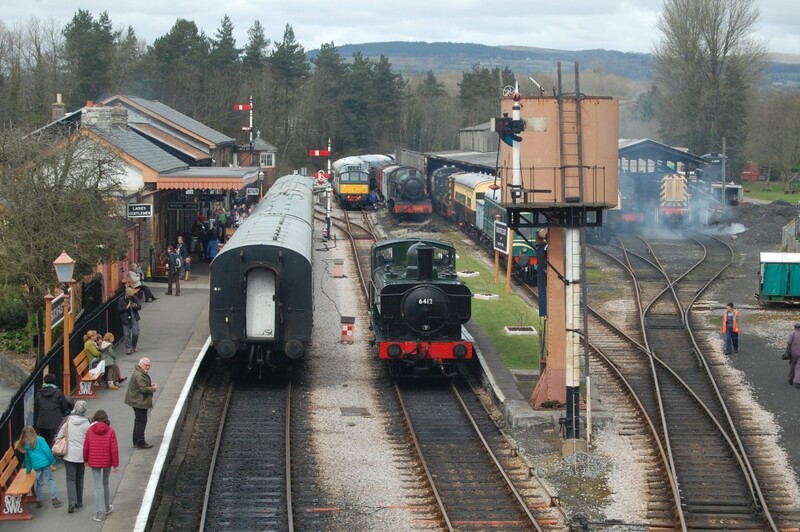 Okehampton Station is a destination on the Railways of Devon (June 12th-16th 2017) tour. For further details, please click here. This entry was posted in Railways of Devon, Transports of Delight on February 12, 2017 by Mike Higginbottom. To modern eyes the atmospheric railway, with its leather flaps and rats in the pipes, seems a Heath Robinson contraption, but when it was devised by a gas engineer, SamueI Clegg, and the brothers Jacob and Joseph Samuda and patented in 1839 it attracted the serious attention of the brightest brains in the engineering profession. The idea was to evacuate the air from a tube between the rails, so that the vacuum in front of a piston underneath the train would cause air behind the vehicles to propel them forward at speed, without the weight of a heavy locomotive and the fuel it had to carry. The slot that admitted the piston was sealed by leather flaps that maintained the vacuum before and after the train passed. This worked quite well on a 1¾-mile extension of the Dublin & Kingstown Railway in Ireland. This former horse tramway had an average gradient of 1 in 110, and opened in 1843. Trains carrying up to two hundred passengers weighing 38 gross tons were propelled by the vacuum in a tube between the running rails at speeds of up to 40mph. On one occasion the piston carriage set off without its train, and covered the entire line in 75 seconds at an average speed of 84mph. The London & Croydon Railway ran trains using the atmospheric system between Dartmouth Arms (now Forest Hill) and Croydon from January 1846. The interior of the pipe was sealed by a mixture of tallow fat and beeswax which melted in hot weather and attracted rats, whose corpses were regularly evacuated each morning. In frosty weather the leather flaps froze stiff and broke away and snow, instead of rats, got into the tube. The system was so unreliable that it soon gave way to steam locomotives and the tube was dismantled after May 1847. Brunel was attracted to the apparent advantages of the atmospheric principle so that he could take the South Devon Railway around the south coast from Exeter to Newton Abbot, where the gradients and tight curves were challenging to contemporary locomotives. He was unconcerned when questioned about the wisdom of adapting the workings of a 1¾-mile branch line to a fifty-mile main line. The first atmospheric passenger trains between Exeter and Teignmouth ran on September 13th 1847 and to Newton Abbot on January 10th 1848. The entire service was operated by atmospheric propulsion from February 23rd 1848. The new system was much admired for the lack of noise, smuts and smoke, and in the first few months barely 1% of atmospheric trains were more than ten minutes late. A 28-ton train could reach an average speed of 64mph over three miles. On January 18th 1848, however, cold weather froze the leather and no trains ran until the afternoon. Increasingly, the leather flaps tore away from their fixings, allowing air leakages to diminish the partial vacuum. The underpowered steam pumping engines broke down repeatedly and coal consumption was excessive. Everyone was aware that the London & Croydon Railway had given up on the atmospheric system in May 1847, and through the summer the directors and Brunel himself backpedalled. The last atmospheric train ran on September 10th 1848. The most visible reminder of the atmospheric railway is the pumping station alongside Starcross station which was used as a Methodist chapel from 1867 to 1958, while the boiler house became a coal store. 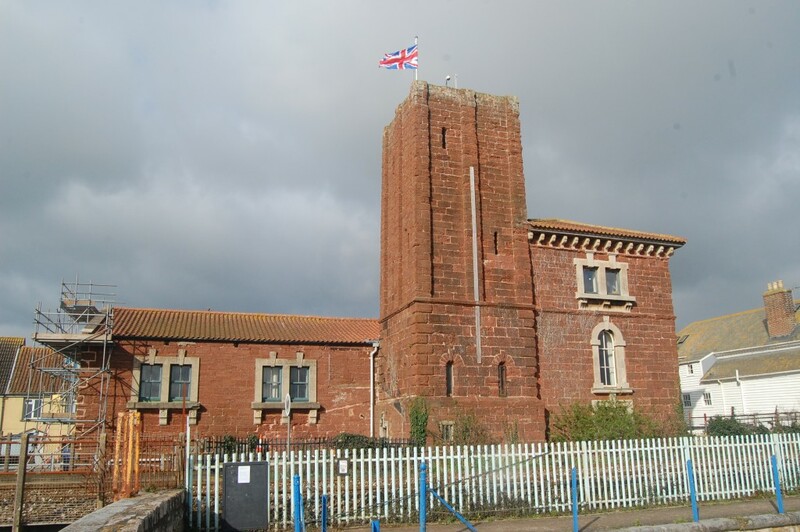 The entire building opened as a museum of the atmospheric railway in 1982 and is now the headquarters of the Starcross Fishing & Cruising Club. Preparatory work for a road scheme has discovered the remains of a hitherto unsuspected fragment of the pumping station: http://www.bbc.co.uk/news/uk-england-devon-44099898. Starcross Pumping Station is a destination on the Railways of Devon (June 12th-16th 2017) tour. For further details, please click here. This entry was posted in Railways of Devon, Transports of Delight, Victorian Architecture on October 25, 2016 by Mike Higginbottom. The career of Isambard Kingdom Brunel (1806-1859) is punctuated by two great bridges. His first major project was the Clifton Suspension Bridge, begun in 1831 but completed posthumously in 1864. Towards the end of his life he devised and constructed the Royal Albert Bridge, Saltash, to carry the railway across the Tamar into Cornwall. Throughout his working life his professional rival, Robert Stephenson (1803-1859), was also a close personal friend and ally. Brunel supported Stephenson at the enquiry into the Dee Bridge collapse in 1847, which first exposed the weakness of long cast-iron girders to support railway locomotives. The two of them regularly discussed how to bridge wide waterways at height as Stephenson designed the High Level Bridge in Newcastle-on-Tyne (1849) and the box-girder bridges at Conwy (1849) and Menai (1850). A suspension bridge such as Brunel’s design at Clifton was useless to carry a railway, because the weight of the locomotive would cause the chains to deflect dangerously. When Brunel took the South Wales Railway across the River Wye at Chepstow in 1852, crossing from an abrupt cliff to a flat flood plain, his solution was to brace the suspension chains with circular tubes. His great bridge across the wide Tamar estuary, linking Devon and Cornwall by rail, had to leave 100 feet of headroom for passing ships. Its approaches had to be on curved viaducts. So his freestanding central spans combine the three classic types of bridge – beam, arch and chain. He developed the Chepstow design by changing the circular tube to an oval profile, bowed in the form of a convex truss to brace the vertical suspension chains. Each span was fabricated in turn on the Devonport bank of the river, floated out into the stream and then jacked into position, three feet at a time, as the piers were built. Brunel conducted the complex positioning of the first, western span in a two-hour process, watched by thousands in complete silence until the Royal Marines Band struck up ‘See the Conquering Hero Comes’ to signal success. By the time the bridge was finished in 1859 Brunel was so ill that he missed the royal opening ceremony. He only once saw his great work in its completed state, when he was drawn gently across the bridge in a coach secured to an open rail wagon. He died on September 15th the same year, and his friend Robert Stephenson followed him a month later on October 12th. Both of them suffered from what was then called Bright’s disease. The Cornwall Railway subsequently added the tribute ‘I K BRUNEL – ENGINEER – 1859’ to each end of the bridge. The Royal Albert Bridge is a destination on the Railways of Devon (June 12th-16th 2017) tour. For further details, please click here. This entry was posted in Railways of Devon, Transports of Delight, Victorian Architecture on October 15, 2016 by Mike Higginbottom. In the days before the steam locomotive made railways the obvious means of moving heavy loads at speed, guided transport was often based not on rails but on angle plates which controlled the direction of carts with plain wheels that could also run on roads. The Haytor Granite Tramway is a highly unusual – indeed, almost unique – alternative that arose from the remoteness of Devon from the rest of England before the age of steam railways. Dartmoor granite, hard-wearing but workable, was in great demand in the early nineteenth century: Sir Robert Smirke favoured it for his extension to the British Museum (1823-31) and the General Post Office at St Martin’s-le-Grand (1825-9) and John Rennie used it for his London Bridge (1825-31). George Templer (1781-1843) linked the Haytor quarries to the Stover Canal at Ventiford by means of a tramway quite unlike the plateways that prevailed in the north of England and the Midlands. Whereas such plateways or gangroads guided smooth-wheeled wagons by means of cast iron flanged rails secured by stone blocks at regular intervals, the Haytor Granite Tramway dispensed with iron from outside the region and instead used the indigenous granite. The track of the Tramway consists simply of granite blocks, shaped so that an upstand, 4ft 3in across, guided the iron-wheeled wagons along the route. Where turnouts were needed, “point tongues” were provided, made of either iron or wood. Apart from one short section at the exit of Holwell Quarry, the entire seven-mile length of the route from the quarries down to Ventiford was a downgrade, so that the teams of horses hauled the empty trains uphill, and followed the loaded wagons downhill presumably to provide braking. A train of a dozen wagons was handled by a team of eighteen horses. The total fall in altitude along the seven-mile main line was 1,300 feet. There was an additional two or three miles of granite track serving half a dozen quarries around Haytor. The Haytor Granite Tramway is a destination on the Railways of Devon (June 12th-16th 2017) tour. For further details, please click here. This entry was posted in Railways of Devon, Transports of Delight on July 23, 2016 by Mike Higginbottom.